Distracted driving is now one of the biggest problems that is endangering drivers across the United States. Whether it’s texting, talking on the phone, eating, or anything else that takes your mind, hands or eyes off of the road, it is all distracted driving, and it’s all dangerous. But how do you break the habit? It might be harder than you think, especially when you consider that many Americans are literally addicted to texting while driving. However, the first step is taking the problem seriously; once you do that, you can join the ranks of those who are trying to prevent distracted driving. When you have too many things to do and not enough time to do them, there is much more of a chance that you will try to do them behind the wheel. Organizing your schedule better can help to prevent this. For example, wake up a few minutes earlier and you can do your makeup or eat breakfast before you head out of the door. Manage your work time so that you don’t have to continue working during your commute. Not only will managing your time effectively help you to not drive distracted, but it will keep your life a lot more stress free. Anything that takes your hands, eyes, or mind off of the road is considered distracted driving. So when you decide that you hate a particular song and want to change over to a new CD or playlist, you are driving distracted. So get your favorite music queued up before you leave, and you will prevent a potentially dangerous situation on the road. The same goes for your phone–take a minute to switch your phone to airplane mode, or tell your friend that you will call or text them later because you are driving. Forethought is essential in preventing distracted driving. A lot of us completely depend on our phones these days, so at times it can be difficult to make the choice not to drive distracted. And even when we make that choice, it can sometimes be tempting not to follow through on it. 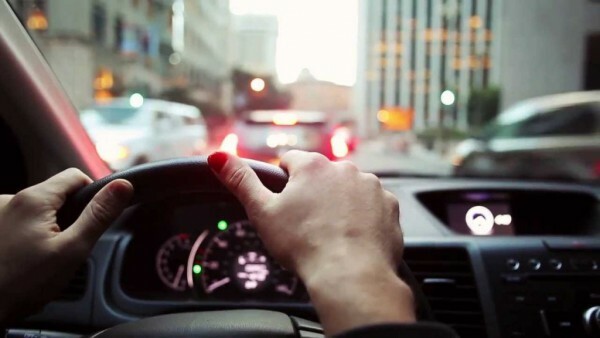 But practice makes perfect, and if you get into the habit of not checking that notification until you get to your destination, or pulling over to eat your dinner, it will soon become second nature. A good way to coach yourself can be to give yourself a reminder, such as painting your thumbnail red–that way, when you go to look at your phone, you’ll be reminded not to! Don’t forget to enter our giveaway, and win a set of Bose earphones and a car bluetooth kit by liking us on Facebook!